In December 2017, unexpectedly and far too soon, the City of San Francisco lost its beloved Mayor, Ed Lee. The Chinese Historical Society of America (CHSA) will present the inspirational story of this remarkable man. 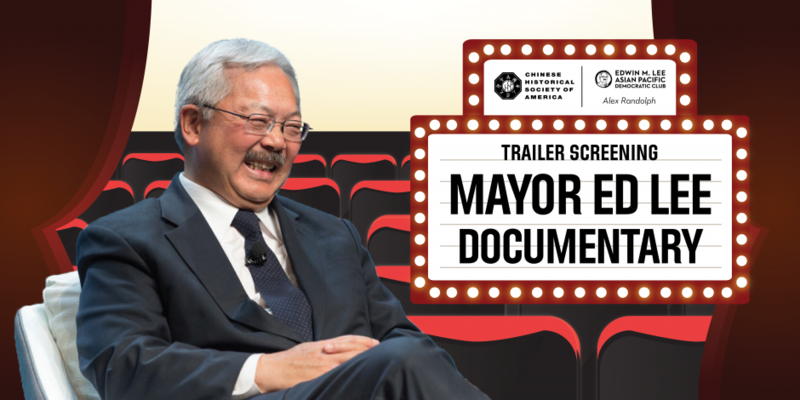 The film will chronicle, document, and preserve the memory of Ed Lee who lived as a seemingly ordinary man who grew up in Seattle’s public housing, but who’s character was truly unique and unparalleled as he rose to become the first Chinese American mayor of a major city and left a legacy that will continue to grow for generations to come.